For those of us who've been in this city for a while, we know that the word "charm" in a listing means that the apartment is probably in need of a makeover. 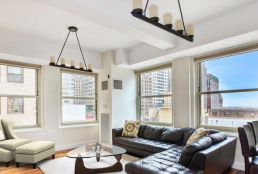 Behold, there it is, in the description of this $2,995 two-bedroom on West 85th Street and Amsterdam Avenue. But the less-than-spanking-new nature of this apartment (and the fact that it's a fifth-floor walk-up and there's no laundry in the building), explains why it's a whopping $2,000 less than the median rental price for two-bedrooms in the neighborhood. 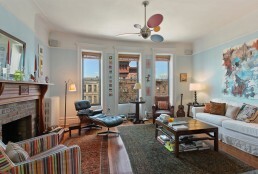 What it does have: A live-in super and easy access to the 1 train approximately two blocks away.